I'm Cristina Barcelo and I was born and raised in Puerto Rico. After I graduated from my Bachelor in Psychology I decided to move to Miami, FL and became a Marriage and Family Therapist. Since my adolescence I was highly interested in human behaviors, dealing with emotions, dream interpretations, and meditation. While working on my internship I was trained as a Trauma Incident Reduction Facilitator and exposed to several holistic methods such as sound bowls, reiki, and breathwork, among others, which helped to expand my holistic knowledge. Currently, I am a Registered Marriage and Family Therapist Intern, certified Trauma Incident Reduction Facilitator, and a certified Reiki Master/Teacher. As part of my experience in working with individuals and families, my clients have presented issues such as domestic violence, substance abuse, anxieties, PTSD, depression, loss, among others. I also facilitate workshops on topics such as: How to deal with anxiety, How to break away from an abuser, Self-care techniques, Mindfulness skills, Sound healing, and more. In 2013, I received training to facilitate Breathwork sessions and sound bowls and began to host Healing Circles by combining these two practices. Two years later, I began my own Reiki journey where I gave and receive Reiki sessions. 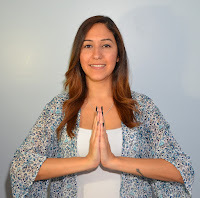 Incorporating the Reiki practice had such a positive effect on my clients and on myself, that I started to facilitate Reiki individually and group settings. By 2016 I became a Reiki Master/Teacher and began to teach the three levels of Reiki to help others get in tune with their inner healer. For over seven years I have been devoted to helping individuals and families with their healing journeys. By combining therapeutic sessions and the practice of mindfulness techniques, my clients have been able to overcome their hardships and improved their lives. My intention is to guide you through your healing journey so you can find your zen. I offer services in Tampa Bay and distance sessions are also available. Sessions can be in English or Spanish (or both). If you want to learn more about what I do please follow my Instagram and Facebook page or send an email to thezenwave@gmail.com.